If the the 39-carat diamond auctioned by Christie’s recently, which went for $5.4 million, is any indication, then the luxury jewelry industry may be bouncing back quicker than other industries. What Mr. Dunhill calls “real luxury” are the kinds of things that Lambda personalities prefer — the truly exclusive products and experiences that bestow status. This is consistent with what some in the luxe industry are calling a return to the roots of luxe. I wrote previously that it’s possible the only way back for the luxe industry is to go exclusive. Not all agree, however it will become a strategy for some brands going forward. 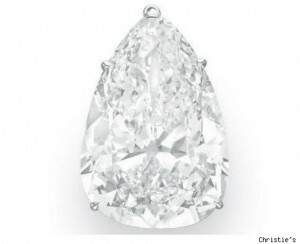 Last week Christie’s Auction House put up for auction a 39-carat diamond. It was part of the “Magnificent Jewels from a Distinguished Private Collector” auction. 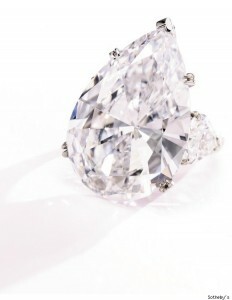 Later this week Sotheby’s will auction a 29-carat flawless diamond. I wrote previously how that could set the tone for how the diamond industry picks itself up and carries on, post-recession. However it seems Christie’s has already solved that. Rahul Kadakia, head of jewelry at Christie’s New York is quoted in National Jeweler saying that the Christie’s sale is indicative of an industry recovering quickly. We could be seeing a strong resurgence in the diamond industry, most notably at auction houses. If a 39-carat stone nets $5.4M, then one could hazard to guess that Sotheby’s 29-carat stone will net around $3.5. However reports currently have it pegged at going for $1.8 million to $2.2 million. Regardless, it appears the Lambda personalities are out in force in the diamond market, ready to pay top prices for the most exclusive diamonds available to be bought. Every week it seems a different luxe brand is making a push into China. This week it’s diamond retailer Tiffany & Co, with a new digital through-the-line campaign for its Tiffany Keys collection. 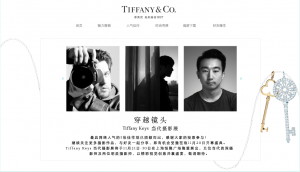 This week, Tiffany unveiled its ’Journey behind the door’ online campaign, developed by Proximity Live and BBDO, in conjunction with a photography exhibition featuring mainland celebrities. The digital site, at TiffanyKeysPhotos.com, features a sample of the photographers’ works and includes community features, encouraging audiences to share their interpretations of the theme ‘Journey behind the door’ via BBS posts and photographs. The new digital campaign is a different approach for luxe, which has previously avoided digital because of a perceived loss of exclusivity. But now that those same Lambda personalities who avoided the web are now practically digital natives. As a result, the luxe brands have less motivation to avoid it, too. What do women want for Valentine’s Day? That’s the question Jewelry.com asked hundreds of women in a recent survey–and their top response was (somewhat unsurprisingly) diamond jewelry. Though this year, respondents were more sensitive to price than in years past. 38.4% of respondents said their partner usually spends no more than $99, and 39% believed that this was a suitable limit for the budget (whereas 24% said “the sky” should be the limit for Valentine’s gifts). The woman who purchases her own jewelry interprets the luxury and pleasure she gets from the piece in her own way–in many ways she’ll appreciate it more than if it’s a surprise from partner. The unique Rainbow Collection of 300 coloured diamonds is to be showcased by International Diamond Laboratories at the Dubai International Jewellery Week in December 2007. The collection is thought to be the largest of its kind in the world and consists of blue, cognac, orange, purple, and yellow diamonds thought to exceed $100 million in value. The Rainbow Collection is owned by Eddy Elzas, who began his career as a diamond cleaver before progressing into brokering and eventually becoming recognised as the leading industry expert on coloured diamonds. The showcasing of the collection at the Dubai World Trade Centre will be accompanied by a talk on the subject by Elzas, which is likely to cement the growing popularity of coloured diamonds, particularly in the Gulf market. What purpose do charms in jewelry serve? Should they be a staple of a woman’s daily living or are they chintzy, cheap, and better left for teenagers and the lower end of the luxury market? 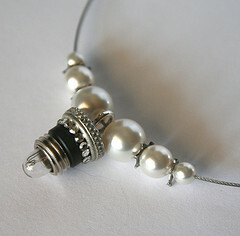 I have always believed that working jewellery [that does something, such as a locket, opening ring, or scent bottle for the neck] holds a great fascination for people, a sense of mystery or private magic. … These pieces are charms in in the proper sense of the word–talismanic and magical. This statement sounds a bit disingenuous coming after Fennell’s quote; de Castellaine seems to imply that charms are perfect lazy men trying to find something suitable for their wives, rather than finding something truly meaningful. I believe that it doesn’t matter what the piece is, if it’s a gift it needs to be a pure and true representation of the love between the giver and recipient. Jewelry, especially diamonds, can be the perfect gift for loved ones, but the gift has to be carefully and lovingly considered.